Whether you are looking for a pergola to cover a patio or to act as a frame for a statue or water feature, Garden Oasis have a selection of some of the best pergolas available in the UK. All of our Pergolas are either made from pressure treated wood or high quality steel and come in a variety of styles ranging from rustic pergolas that make a great support for climbing plants such as vines and roses to larger, more impressive structures, which will make a big statement and lovely focal point in any garden. 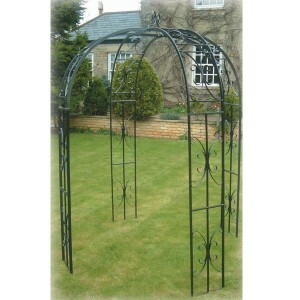 All pergolas are delivered free of change throughout most of the UK. 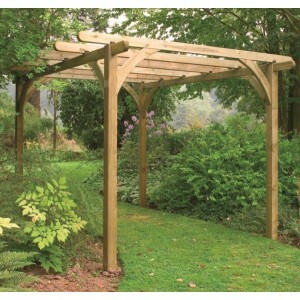 The beautifully constructed Buckingham Pergola will bring interest to your garden with is charming a.. 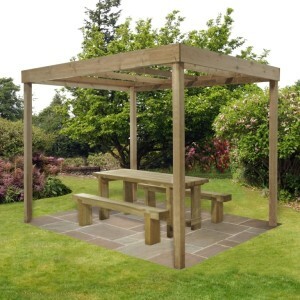 The Contemporary Dining Pergola from Forest is a modern design that creates a stunning rectangula.. 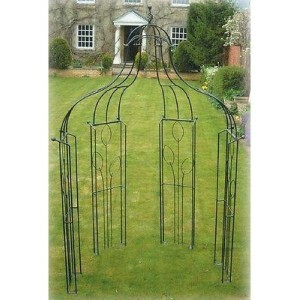 This unique Flower Bower by Poppy Forge is a charming garden structure, which can be easily moved an.. The Dining Pergola from Forest is a modern design that creates a contemporary rectangular frame a.. 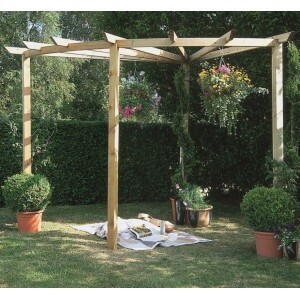 The stylish Radial Pergola from Forest is shaped to fit into the corner of a garden, softening th.. The Ultima Pergola Kit from Forest is ideal for covering large patios. The proportions are genero..